Cream is the thick white or pale yellow fatty liquid that rises to the top when milk is left to stand, before it’s homogenized. Light cream is a blend of milk and cream with 5-6 percent butterfat content. Light Cream is a little richer than whole milk, which has 3-3.5 percent butterfat content. It’s great for everyday use in smoothies, coffee, hot chocolate and other recipes calling for milk or cream. It is available in 1 litre cartons. Half and half is a blend of whole cream and milk. It has 10 percent butterfat content. It can be used in coffee, chilled soups or recipes that call for milk. A blend of cream and milk with 15-18 percent butterfat content. 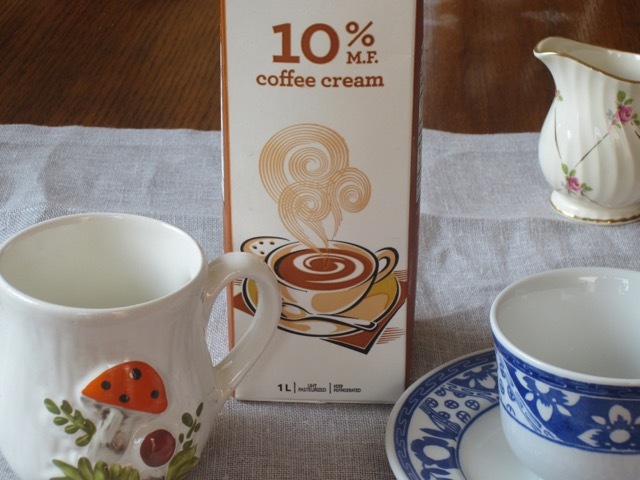 Table cream is available in 1 litre cartons. Like half-and half and light cream, it can be used in coffee, dessert fruits and chilled soups or a dash, in smoothies. This is also called single cream in some countries. Whipping cream is a thick, pourable cream with 33-35 percent butterfat content. It can be used in cooking and for whipping. It often has stabilizers added, to increase its versatility and whipping properties. It is available in cartons, and pre-sweetened in pressurized cans. In cooking, it can be added to hot sauces with acidic ingredients such as wine, vinegar or tomatoes and can be simmered or boiled without the risk of curdling. Whipping cream is the best for desserts such as mousses, pies, cakes and for frostings and toppings. It can also be whipped and added to hot drinks like coffee, cappuccino, hot chocolate and Irish Cream. Always ensure you do not over whip cream, otherwise it will become grainy and separate. In the US there is heavy cream which has 36-40% butterfat content. It’s also use for cooking and whipping, desserts, mousses pies cakes etc. 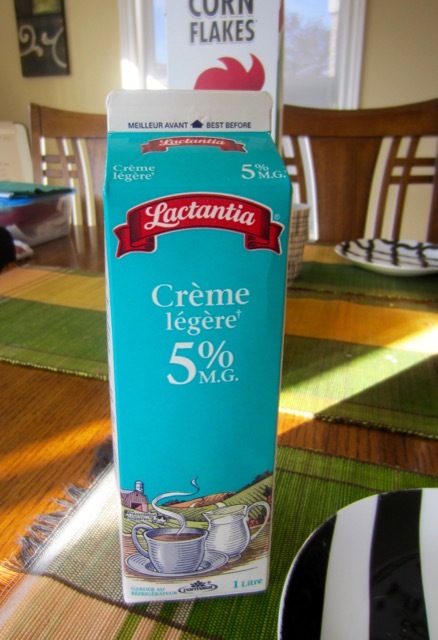 In Canada there we mostly have whipping cream which has 35% butterfat content. I have not seen anything above 35% so far. If you know where I can get it, please give me a shout! Double cream is thick fresh cream with 45–48 percent butterfat content. It’s marketed in the UK and other European and African countries. Double cream is used for whipping and cooking hot sauces and soups, but is richer and thicker than the whipping cream we have here in Canada. Due to the high fat content it does not curdle during heating. Extra-thick double cream also has 48% butterfat content but is thicker than double cream because it has been homogenized. It is spooned onto pies, puddings, and desserts and cannot be poured due to its thick consistency. BC Dairy Canada: what kind of cream should I use?